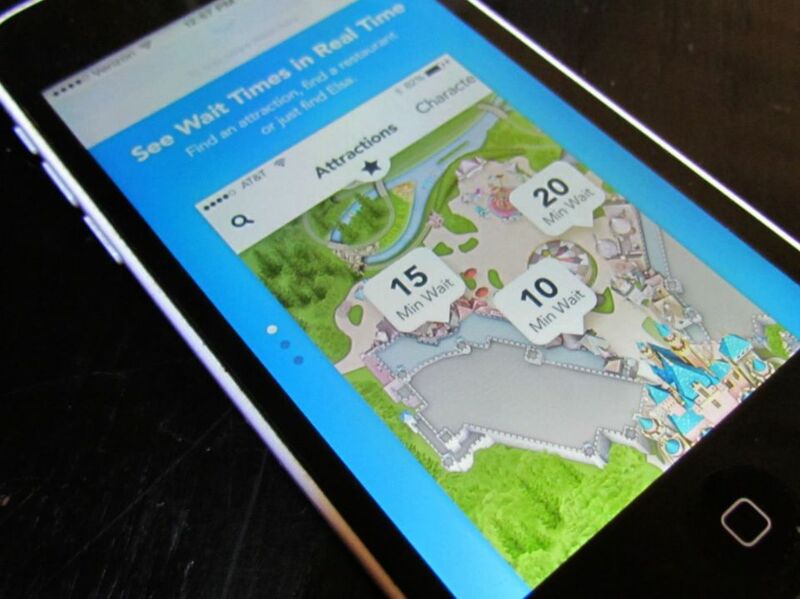 There had long been a gaggle of apps out there to help visitors navigate wait times and build itineraries at Disneyland Resort, so it was only a matter of time before Disney launched a fantastic official Disneyland app. The official Disneyland app is available for iPhone and Android. This app blows away the competition because it does much more than the others. You can buy your tickets, view wait times for attractions in Disneyland park and Disney California Adventure, browse maps, locate Disney characters, and check show times. Beginning in 2017, the app will also let you access the new Disney MaxPass service, which lets you reserve FastPasses for rides and attractions. Being able to purchase park tickets instantly from your phone or mobile device is fantastic. You just show the barcode at the admission gate when you arrive, so you can avoid the ticket line and don't have to print out any e-ticket. In 2017, Disneyland will launch Disney MaxPass, which will allow mobile booking and redemption of Disney FastPass return times through the app. Disney MaxPass will be available for an introductory price of $10 per person per day. (Disneyland Resort Annual Passholders also will have the opportunity to purchase Disney MaxPass on a daily or yearly basis.) MaxPass will also give guests unlimited downloads of their PhotoPass images. Disney MaxPass is an optional service. Guests who choose not to opt for MaxPass can still use the Disney FastPass service at no cost by obtaining FastPasses at attraction kiosks, as always. Disneyland annual passholders can also link their accounts to the Disneyland app to check blackout dates and use the app’s virtual pass feature to enter the parks. But you still need to bring your actual annual passport, which must be presented to obtain FastPass tickets or to receive passholder discounts. What's missing? You can't yet book dining reservations and view menus. Still, all in all, this is easily the best of the Disneyland apps.